Online Registration: click here to view a quick video tutorial on how to register online or visit the online calendar of events for a monthly view of workshops. 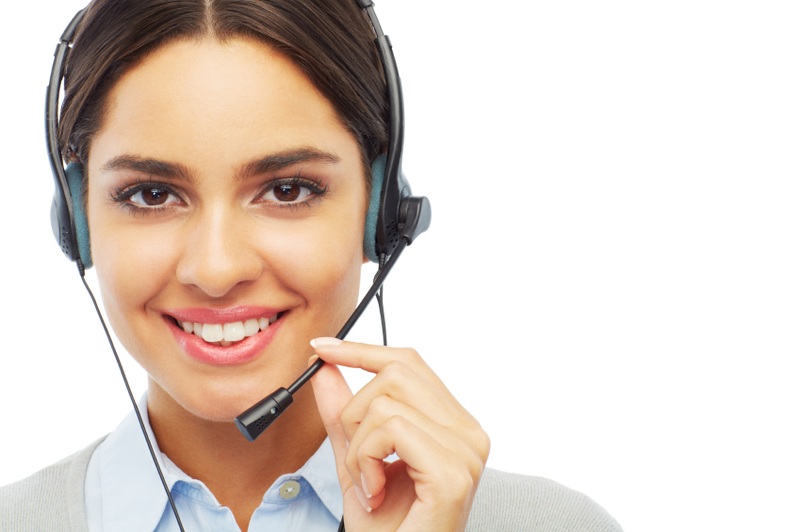 Phone: All professional education registrations are to be completed ONLINE ONLY. 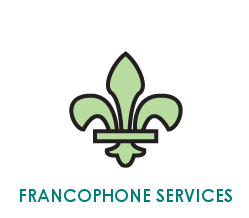 Professional Education administrative support is available over the phone, for technical issues and complex registration processes. We thank you for your co-operation. Email: Registrations can be emailed to: register@cdrcp.com - please send a copy of the registration form completed, along with payment information and your registration will be completed. Fax: click here to use the appropriate downloadable registration form, fill it out and fax to our office, 905-890-8325. In Person: In the Neighbourhood? Stop by our office for a friendly hello and register in-person with our team. Pay by Cash, Visa Debit, Credit Card or Cheque at the time of registration. All payments must be made prior to attending workshops. Please note if the workshop indicates that it is Sold Out, there are no spaces remaining in that session. Unfortunately exceptions cannot be made. Times and locations for sessions may vary. Be sure to check the location of the session. All registrations must be accompanied by payment. If you are paying by cheque, please fax in a copy of the cheque along with the registration form and deposit the cheque in the mail by the next business day. Cheques should be made payable to CDRCP. Post-dated cheques are not accepted as payment confirms your registration. A Service Charge will apply to all NSF cheques. Cash and Debit payments will only be accepted if paying at the time of registration. CANCELLATION AND REFUND POLICY: Should you be unable to attend a workshop, it will result in a loss of payment. No refunds are provided once you register. Participants are welcome to send replacement staff if they cannot attend a session. All sessions will begin promptly at the noted time indicated in the workshop description. Please arrive on time to ensure you do not miss valuable information. 1. What is a webinar? The word webinar is a blend of "web" and "seminar." It is an educational, informative or instructional presentation that is made available online, usually as either video or audio with slides. Known as web-conferencing or eLearning, webinars are seminars, lectures, workshops or sessions delivered over the web or internet. They are an alternative to other professional education opportunities located in a facility such as CDRCP. With webinars, you will be able to see the screen of the presenter, listen to their presentation and ask questions that will be answered by the presenter during a live webinar. Webinars that are pre-recorded will enable you to ask questions of the presenter or organizer of the presentation by e-mail, after you are finished the webinar session. 2. Why is CDRCP offering webinars? Webinars allow CDRCP to deliver professional education opportunities in an alternate format, allowing more individuals an opportunity to participate. Particularly, pre-recorded webinars can be a resource for those who cannot attend CDRCP professional education sessions for any reason and are interested to invest in their lifelong learning. Webinars allow you to participate from your office, home or anywhere you have internet access and are available to anyone, anywhere. 3. What types of webinars is CDRCP offering? 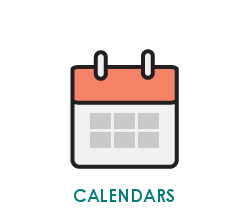 CDRCP will be offering a variety of webinars including topics such as Behaviour Guidance, Inclusive Practices, Personal and Professional Development, Working with Families, Curriculum Development, Human Resource Management, Board Governance and Legislation, Business Viability and many more. 4. How do I sign up for a webinar? Information will be posted on this section of our website about upcoming webinars. Just click on the link attached to the webinar you wish to sign up for and register. You will receive a confirmation of registration by e-mail and a follow up reminder prior to the webinar. If the webinar is live, click the confirmation link provided at the time the webinar starts to join the webinar.If the webinar is pre-recorded you may click on the confirmation link at any time you are ready to view the webinar. Remember, you must have internet access to view the webinar. 5. How do I find out more? 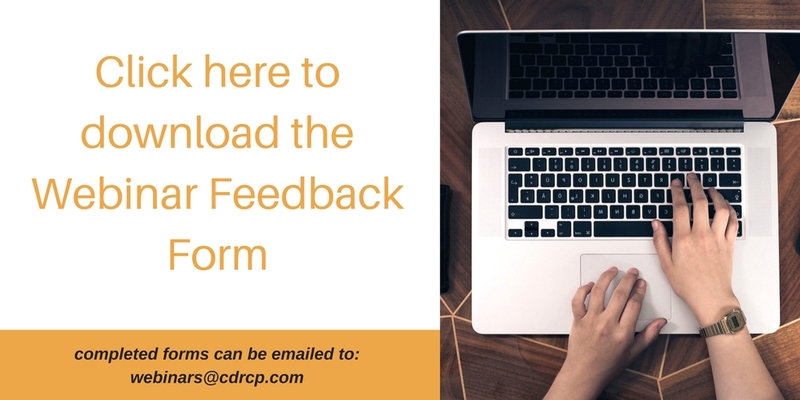 Please feel free to check CDRCP's website on a regular basis to see which webinars are available for you to attend. Please follow the link attached to the webinar you wish to attend and sign in. Some webinars will be live and require that you log in at a specific time. Other sessions will be pre-recorded and allow you to view the webinar at any time 24 hours per day, 7 days a week providing you have access to the internet. For more information please call our office directly at 905-507-9360 or log on to our website at www.cdrcp.com. Please note: 1 feedback forms needs to be completed for each webinar. Please allow up to 2 - 3 - weeks to receive confirmation emails of viewing. Find our new webinars posted below! Building Confidence To Tackle Difficult Conversations with Parents, Find in Fostering Engagement. Topics will include: Fostering strong communication to build a team that is like a “family”, tips for retaining team members by using motivation & creativity to keep them happy and committed to work at your centre. Outcomes include, learning how to retain and motivate your team members through communication and motivational leadership that develops commitment and loyalty. This webinar provides an introductory overview of the development planning process from start to finish. This webinar sets out what applications may be required to get through the planning approvals phase fro a development proposal, and information is provided on how to move on to your building permit application. This webinar is ideal for those seeking to expand their current land use, or establish a new one. This webinar from a live recording, is joined by Asha Rampersad, certified Lawyer and Human Resources Advisor with Bernardi Human Resource Law LLP, in answering your tough questions and concerns about performance management and employee discipline. Gain knowledge on employee challenges you may face and tips and tricks for managing employee performance.Findout techniques you can use to successfully manage challenging employees, whether the challenges lie in an employee’s ability to perform the duties of the job (“poor work behavior”) or the employee’s failure to abide by your rules and policies (“improper workplace behaviour”). Participants will learn techniques to identify the cause of an employee’s poor performance and how to successfully manage their performance. We will discuss issues regarding providing services to children and their families. Topics will include, ’How do we make decisions in Children’s Services?’ touching base on guidelines for decision making in regards to children’s services and involving others. We will discuss the law and ethics which provide legal rights to us as professionals and provide guidelines within this process, while working with clients. Learn your professional boundaries, and how Canadian laws are involved within decision making processes for helping others. This webinar focuses on the fundamentals of change through the lenses of both those initiating change and those reacting to it. This includes understanding the principles of driving and resisting forces of change, the early adopters, and the importance of change, through group participation and activities. This webinar will help you understand the role of a facilitator as different from a trainer, review the competencies of a successful facilitator and help to develop new facilitation tools (tips of the trade) for use in a variety of situations. This webinar will assist you in understanding what branding is as part of your marketing plan, how effective branding can help to differentiate your organization from competitors and how to align your branding strategy with your organizational goals. Board of Directors represents the organization through a governance structure which is critical to organizational effectiveness and success. In this webinar, you will learn the roles and responsibilities of board members as well as their legal obligations. Take advantage of learning how the right people in the community are doing the right work, in the right manner. The webinar will help move your organization to success by understanding the role your board has. This webinar will introduce and explain key factors impacting the effective performance of boards and how good governance is achieved. Taking a highly practical approach, participants will be equipped with insights that can be used immediately to improve the performance of their board and how their organization can be better governed. How we define a culture and the importance of the role of values in organizational culture, how to create a respectful culture to engage your staff and volunteers in a positive culture has an impact on our daily life. We will with a discuss the impact of culture in today’s society. As a manager, you have mastered supervision and the traditional management task regarding performance review, delegation, and team leadership. Now, you see the potential to develop your ‘Centre of Excellence’ in your sector and help develop others as a mentor. What does mentoring mean and how does it differ from management? This one hour webinar challenges viewers to undertake the mentor role to both expand your own skills and development while developing others. This webinar covers the basics of risk, risk management and how organizations can develop risk management strategies. Topics include identifying risks, analyzing risks, strategies to manage risks, developing and ongoing evaluation of risk managements plans. The new Ontario Not-for-Profit Corporations Act is not yet enforced, however when it is expected to be administered it will affect the way not-for-profit organizations operate. Complying with this legislation may have significant impact on your organization. Join us to review the key features of the new legislation and steps your organization can take to prepare. The 5 pillars of ME Inc.
Have you ever wondered what empowers today’s successful managers? Through this motivational, practical two-part leadership webinar you will first be introduced to the qualities that successful leaders rely upon to establish a rock-solid foundation in ther professional and personal lives. Upon discovering the foundations or guidelines, one is able to define the ‘must have’ principles for sustained success. Part 2 of this webinar offers you a comprehensive toolbox and ‘how to’ tips to build high performance teams and the key performance indicators (KPIs) to measure their and your success by. You will be introduced to CSR as a holistic model that reflects good organizational governance. You will learn that CSR is a wise investment in your organization's social captial, and a powerful tool through which you can reach out to your stakeholders, expand awareness of your organization, and engage in 'doing right' for community good. With company culture playing an important role in keeping employees satisfied, it's vital that businesses make new employees feel like welcomed additions to the team. This requires more than just beneficial training. Employees want to understand the ins and outs of the job while also feeling comfortable with their role in the company. Topics will include: selection & screening, interviewing & hiring techniques, how to “sell” your program to applicants. Outcomes: Learning how to attract the best educators, how to select for quality and attitude, how to screen resumes, doing a phone & in-person interview, in-class preview, and how to make successful employment offers. Do you cringe at the thought of hiring new employees? Have you ever regretted a hiring decision? Do you have star employees that you wish you could clone? This webinar will help you to really underestand your hiring needs, your employment brand and your culture. You'll be armed with lots of tips and to-dos that will help put you in control of your hiring process, and to hire and onboard with intention. Are you struggling with employee discipline? Do you have a policy, but lack follow-through? This webinar will take you step by step through the progressive discipline process to help bring some much-needed clarity to this challenging employer task. Participants will learn how to navigate through progressive discipline with the goal of turning around problem behaviour and restoring a positive working environment. Are you concerned that your employment contracts aren't protecting you as an employer? Do any of your employees complain that they didn't know important details about their job before they started? Do you want to know when you should seek legal guidance, or if you're on the right track? This webinar will help you understand the risks, must-dos, common misconceptions, and important steps to take to get your employment contracts on track to being enforceable, clear and supportive to everyone. Each of us have our own temperament which has been the basis of our personality formation. Understanding the traits of temperament helps us to better understand ourselves and the children and families we work with. This understanding provides us with a unique opportunity to strengthen self-regulation and create environments where everybody belongs. In this webinar we will discuss and look at the origins of temperament, examine traits and styles of temperament, and discuss ways to create a “goodness of fit”. Children’s behavior is very rarely about being good or bad. Young children communicate through their behavior because they may not have been taught to identify and convey their need(s). As caregivers and educators, it becomes our responsibility to translate this behavior without placing judgement on the child. This webinar is designed to help Early Childhood Educators working with children with challenging behaviors by bridging the gaps between the reasons why children misbehave to how the environments can support self-regulation. The webinar presents the basic facts about challenging behaviors and describe strategies for preventing it addressing it effectively and providing alternate appropriate behaviors. This webinar will provide tools on the nature of oppression and important strategies and practices to be used to begin constructing your own Anti—Oppression Framework within your workplace. Have time for personal reflection throughout this webinar as an important component to your learning, with a pen and paper in-hand. This webinar will provide you with a deeper understanding of what Oppression and Anti-Oppression mean, provide you with Anti-Oppression resources and tools and how to deal with Oppression involving your own thoughts, feelings and actions. Setting the Stage for Successful Behaviour is a positive and structured process which adults can use to support children with challenging behaviour. This approach is based upon the concept that all behaviour occurs for a reason(s). Once we identify these reasons, we can then use this information to develop strategies which will help the child learn ways of behaving successfully. This webinar will identify the purpose and components of Setting the Stage training, as well as provide an overview of the theory and process of Setting the Stage. Please note: this webinar does not substitute the 2-day training course offered by CDRCP however it does act as a resource to provide basic knowledge, an overview, key strategies as well as components essential to the fundamentals of the course. For more information on Setting the Stage training: Please email: nicole@cdrcp.com, call the office at: 905-507-9360 or visit the Setting the Stage website: http://cdrcp.com/stsresources/ for more information. Take a look at our new Setting the Stage 2 webinar! This webinar is a teaser to the extension of training coming soon! This webinar will provide you with essential and basic information about the new Setting the Stage. We have built this extension to complement the popular Setting the Stage training to provide participants concrete strategies and techniques while using the training. This webinar will provide you with insider knowledge on what to expect for in-person training, such as the toolbox that will provide you knowledge on how to handle a variety of situations using the STS approach. If you are interested in Setting the Stage 2 Training please email: andrea@cdrcp.com to be contacted when training dates are available. Do you find yourself constantly praising children’s work by saying Good Job? Since the Ministry of Education is supporting an inquiry based curriculum, educators are encouraged to use higher level conversations when engaging with the children. In this webinar we will examine intentional, higher level conversations that brings out children’s cognitive abilities; enhances language development, as well as scaffolding on their learning. You will be presented with many examples of appropriate ways to talk with children offering an opportunity to practice your new skills. The story of Early Childhood Education is created with multiple perspectives, displaying that there never really is only one side to a story. This story has multiple perspectives called frameworks, that cohabit in peaceful but very separate landscapes. This webinar outlines the story of Early Childhood Education as shared by Dr. Peter Moss, from his lecture at the University of British Columbia. His views , as well as a personal research study on the Pathways to Advocacy are merged into one presentation exploring both the stories in Early Childhood Education and what we as ECE’s can learn from a variety of perspectives. Cette présentation vous offre un aperçu de la communication avec les parents et comment aborder le sujet d’un comportement difficile chez leur enfant. Nous soulignons l’importance d’une première impression, comment éviter les malentendus, comment composer avec les différents types de personnalité, et comment travailler en équipe avec les parents pour le bien-être de leur enfant. 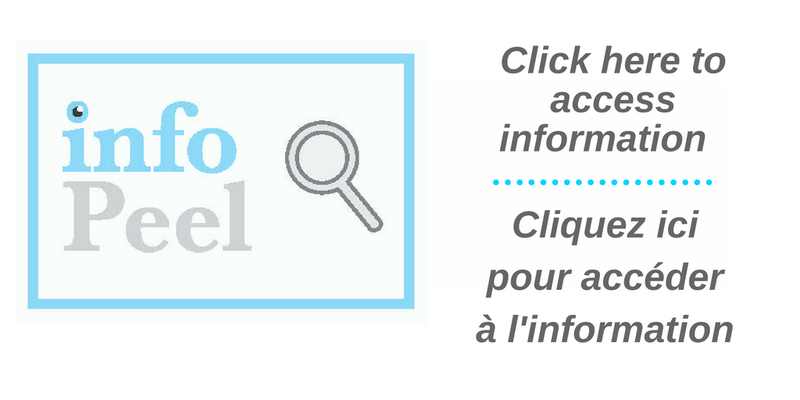 Mise en scène - Information générale au sujet de Mise en scène d’un comportement réussi, Travailler en équipe, Choisir et définir le comportement sur lequel vous désirez travailler, Cercle 1: Comprendre l’enfant comme étant unique, Cercle 2: Mise en scène afin que tous les enfants aient un comportement réussi, Environnements physiques et sociaux, Cercle 3: Comprendre les fonctions du comportement, travailler avec les déclencheurs et les conséquences. During this interactive workshop you will discover strategies to assist when interacting with challenging parents. An opportunity to practice your mastered skills will be provided. Supporting newcomer families in EarlyON Centres and other early childhood programs can be challenging; and yet, programming for young children is often a critical gateway to successful settlement. This webinar explores some of the reasons why it may be difficult to reach newcomer families and suggests strategies for encouraging hard to reach families to participate and return again and again. Although it identifies obvious reasons why families do not participate, the webinar focuses largely on the invisible barriers to participation, such as differences in understandings, priorities, goals and beliefs. With a focus on daily activities like eating and play, it establishes a cultural basis for such differences and suggests practices for successfully supporting newcomer families. Have you ever wondered why there are so few men in the field of early childhood education? Since the College of Early Childhood Educators officially opened in September 2008, the number of Registered Male ECEs has remained close to 3%. 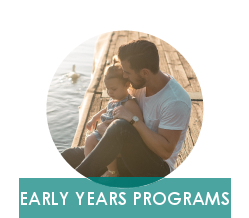 This webinar examines some of the modern-day barriers that have prevented and/or discouraged men from participating in early childhood programs, not just in Ontario, but across the globe. Build your confidence and effective communication skills by knowing how to prepare in advance to share any difficult message; learn skills on how to be a “partner” with the parents for the benefit of their children. Be ready to tackle any situation that comes your way, confidently. This webinar looks at stress; what it means, what causes it and what it looks like, as well as how we might reduce stress where possible. We also look at crisis; what it is, what causes it, what impact it has, and how we can deal with crisis. Included in this section is assertiveness vs. passivity and aggression. We also consider families who are challenged and therefore in crisis often. Introducing solid foods and responding to a child’s hunger and fullness cues can be a challenge for parents and caregivers. To support the development of healthy eating skills, this evidence-based webinar provides information on, developing readiness for solids, responsive feeding, creating a positive eating environment and the importance of caregivers engagement during mealtimes. An estimated 1.2 million children & youth in Canada are affected by mental health issues. 17% of children ages 2-5 years meet diagnostic criteria for mental health problems. Does nutrition matter for mental health? Many children are overfed and undernourished. They are missing adequate key nutrients for healthy development and function. Jon Amy as she shares recent research and strategies to promote mental health through healthy eating and lifestyle. In celebration of its 25th anniversary, ndds, (Nipissing District Developmental Screen) a North Bay-based non-profit organization, is announcing what it calls a new parent-friendly name and look for its signature developmental checklist. Since 1993, ndds has been helping children worldwide reach their developmental potential by providing an easy-to-use checklist that encourages interaction between parents and health/child care professionals. The checklists are available in a variety of languages and formats. Region of Peel Public Health Inspectors in collaboration with CDRCP developed an online resource for child care educators. The resource is a two-parts webinar that will help child care educators enhance their knowledge about infection prevention and control practices in child care settings. The first part of the webinar provides information on hand washing, diapering and cleaning and disinfection. The second part focuses on sensory play, self-serving, gardening and animals. 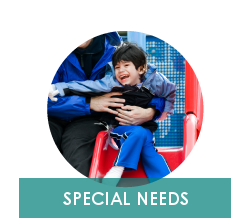 This Overview webinar introduces people to the World Health Organization's International Classification of Functioning, Disability and Health - usually called 'the ICF' - and some "F-words" ideas that bring the ICF to life for kids with disabilities and their families. Six videos will follow, to illustrate how and why each 'F-word' (Function, Family, Fun, Friendships, Fitness and Future) is so important to parents of kids with impairments, and their kids, and to people who work with them to promote their development. This webinar will give early childhood educators a new and more helpful way of understanding self-regulation in young children. We will define self-regulation and why it’s important in early childhood education, differentiate between self-regulation and self-control, learn how to recognize and reduce stress in children and adults, and identify the connection between self-regulation and stress in children, educators, and parents. We will also reframe our view of children’s behaviour by examining the difference between stress behaviour and misbehavior and move from a punishment/consequence mindset to one based on compassion, understanding, and support. This webinar introduces the 5 Domains of Self-Regulation and the 5-Step Shanker Method® along with practical strategies for reducing and alleviating stress in early childhood settings. We will identify signs of stress behaviours and stressors associated with each domain, explore practical strategies to reduce stress in the biological, emotional, cognitive, social, and prosocial domains, and learn strategies that can help children calm down and/or find energy; according to the needs of the situation. This webinar will provide information on reporting child abuse and neglect. We all play a vital role in the Peel community to prevent child abuse. In this webinar we will review your on—going duty to report, what needs to be reported and how, the investigation process and the steps of referral. This webinar will provide an overview of the 7—steps to consider in regards to transitioning from a profit organization, to a non-profit organization or child care centre. We will review key terms referring to corporate structure and your organization, legislative overview for both for-profit and not-for-profit corporations, the definition of both for-profit and not-for-profit, explore paths that could be used for transition, how to organize your new non-profit; including good governance and practices to keep in mind, and additionally resources will be provided for more information. This webinar will review the major ethical concepts in human services and discuss how these relate to the Code of Ethics and Standards of Practice from the College of Early Childhood Educators of Ontario. Many practical examples will be used to illustrate these concepts. Viewers will also have the opportunity to reflect on the scope of practice as an ECE. Completing an environmental assessment tool can be overwhelming. This webinar will review a variety of environmental tools that are currently used in Peel. Learn how to score your program, and how to make small changes that will have a big impact on quality. A variety of environmental assessment tools will be available for review. This webinar will provide an overview of the stages of drawing and writing, and the importance of materials and manipulatives in programs. The Early Literacy Checklist is a reflective self- assessment tool enabling staff working with young children to better evaluate to what extent they support literacy in young children, families and communities. This free webinar provides insight into how to look at your program through a literacy lens, providing visuals of literacy rich program environments to help successfully create a language rich play space. This webinar also includes a sample action plan to help staff identify areas that require modifications to ensure literacy focused play centres. 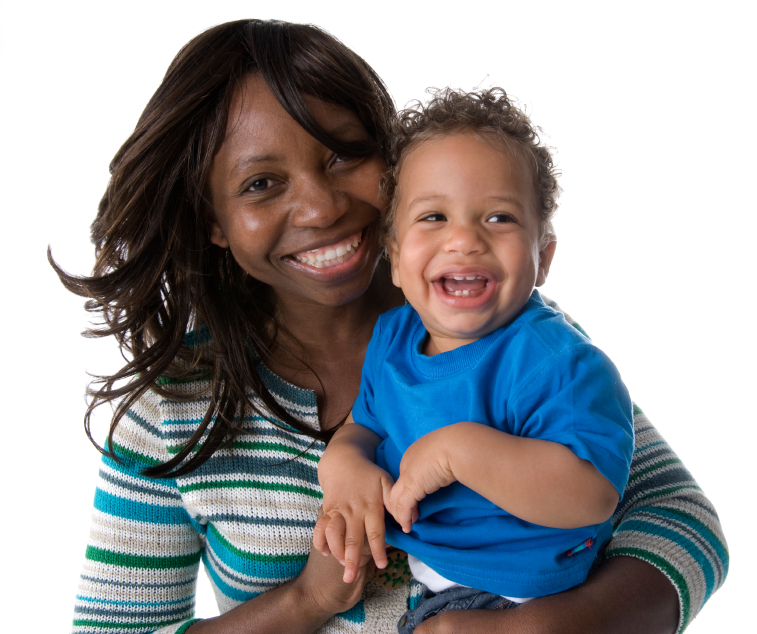 A child’s oral language development is an important life skill developed at an early age. In this webinar you will learn about listening and speaking skills, early learning program criteria, multisensory skills and early learning, daily routines to support child communication, developmental milestones of language, screen time in a child’s life and best toys review. The Ontario Ministry of Education has created an important document titled How Does Learning Happen? Ontario’s Pedagogy for the Early Years. 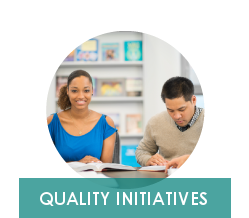 The purpose of this document is to describe quality early years programs based on research and professional practice. Learning happens when educators build positive and responsive relationships, focus on children’s development and provide environments in which children learn through exploration and play. In this webinar, we will demonstrate the four foundations of learning - and how to enhance belonging, well-being, expression and engagement in infant and toddler settings utilizing these guidelines. Join this free webinar to gain new strategies, skills, and knowledge to improve interactions with infants and toddlers within your care. This webinar is an introduction to How Does Learning Happen, Ontario’s Pedagogy for the Early Years. It provides an overview of the document and briefly describes the four foundations, well-being, engagement, expression, and belonging. This will encourage reflection about learning through relationships for those who work with young children and their families. Ce webinaire présente un aperçu des étapes du dessin et de l’écriture et souligne l’importance d’incorporer dans les programmes toute une panoplie d'un matériel et d'articles de manipulation. In this webinar we will take a look at outdoor learning environments. The focus will be on a return to nature when program planning, the use of natural materials and play spaces, curriculum brainstorming around bringing the learning outside. We will also be focusing on children’s storybooks that incorporate nature themes and natural play. This session will have ideas for all age groups (infants to school age settings). In this webinar we will take a look at ways in which design impacts outdoor spaces for children and how to create a fusion garden within the playground space. Resources will be provided for staff to gain knowledge around planting and planning for creative fusion spaces within playgrounds. This webinar will provide participants with an introduction to physical literacy and how it can be implemented into early years’ programming. Viewers will learn the difference between physical literacy and physical activity and how fundamental movement skills provide a foundation in order to develop more complex skills used in play, games and specific sports. It will also show how physical literacy impacts brain development in young children. If you are interested in increasing your knowledge and skill in promoting physical literacy and being a part of the Physical Literacy Champions' Network (Peel) please see the PDF here for more information or email physicalliteracy@peelregion.ca. This webinar will provide an overview of Reading Stages, print-rich environments and the importance of Read aloud in Early Learning Environments. Ce webinaire présente un aperçu des étapes de la lecture et des milieux riches en documents imprimés et souligne l’importance de lire à haute voix dans les environnements d’apprentissage de la petite enfance. This webinar will provide an overview of Oral Language Development in a play based context, and supporting the emergent bilinguals in the programs. Ce webinaire présente un aperçu du développement du langage verbal dans le contexte du jeu et aidera les bilingues émergents du programme. The environment we set for children is the "third teacher" and influences their learning. During this session, we will discuss how and why decisions are made to support the growth and development of toddlers. We will talk about materials added to spark curosity, engage children in learning and create a space where they feel capable and competent. During this session,opportunites are provided, allowing you as the educator, to self-reflect with respects to different environments. This session empowers us to critically reflect on how significant the "third teacher" is, as it is an inspiration for children to thrive, investigate, image and learn. Children belong in nature. It is in their nature. This webinar will give you the opportunity to consider the importance of outdoor play. Childhood is increasingly becoming an indoor culture. Children today are spending more time inside interacting with electronic devices rather than playing with each other and with nature. You have the ability to reverse this trend when you give children time to play and learn in and with nature. This webinar highlights the theory of loose parts and how these open-ended materials support learning through play. There are many types of loose parts and deciding what ones to invite children to engage with involves some careful thinking and consideration. Loose parts that are accessible to children indoors and outdoors set the stage for learning. Please note, when you click the below links they will automatically download into your browser. Need help coordinating your conference? CDRCP is here! 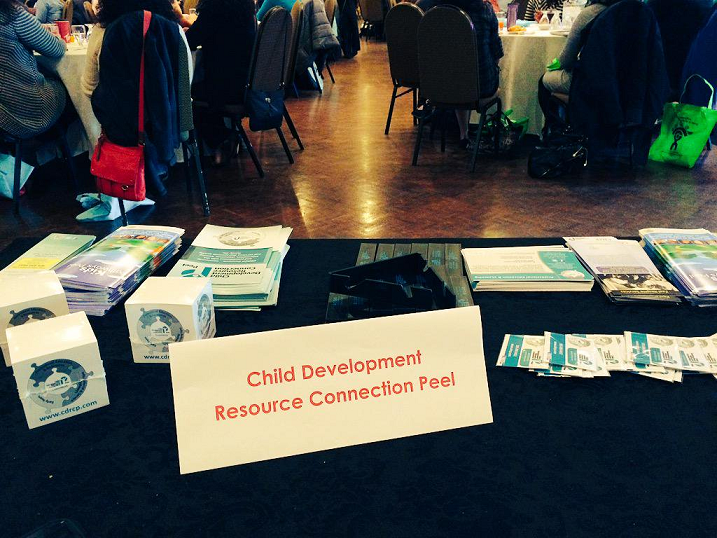 CDRCP works with our community partners to coordinate conferences. We will take care of conference needs, such as booking the venue caterers, taking registration for the event, and collecting the registration fees (if applicable). We will even be there the day of the event to support the success of the conference! Welcome to The Resource Centre! 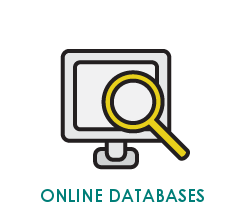 The Resource Library provides access to resources that support various domains of learning. Resources support learning through play and offers activities that are developmentally responsive for children to foster problem solving and creativity. Resources for loan reflect How Does Learning Happen and additionally, members have access to specialized software and equipment. 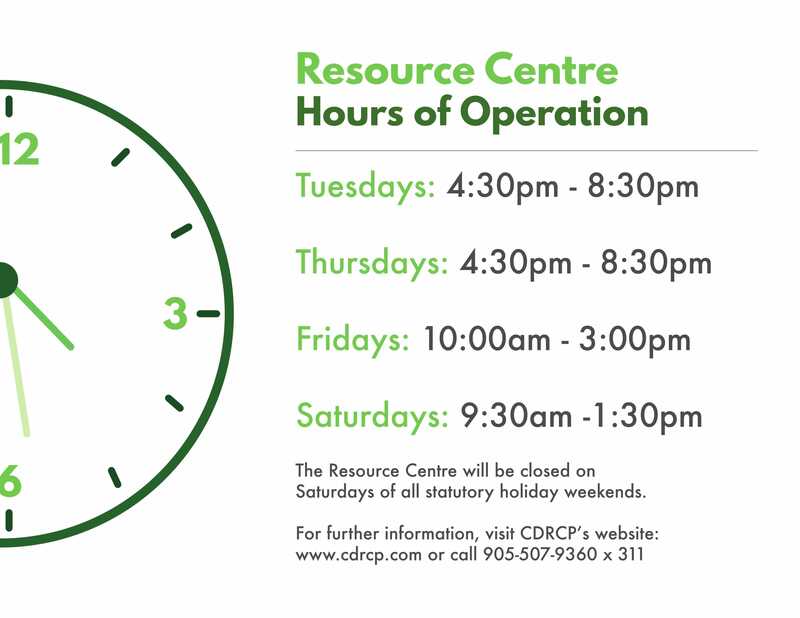 The Resource Centre is available for individuals over 16 years of age. It is the responsiblity of the attendee to present their confirmation emails to the individual signing them in to the sessions. Electronic, printed copies, or a picture of the email are accepted forms of documentation. Share your thoughts on how our EarlyON program helps you and your children! Complete our survey from April 2 – 30, 2019 for a chance to win a $50 VISA gift card. The survey takes only 10 minutes to complete. Thank you in advance for your time, and we look forward to your feedback! Our EarlyON Child and Family Centres offers FREE early learning programs for parents and caregivers with children birth-6 years. For all general inquires and information about the clinics contact CDRCP at 905-890-9432. Nipissing District Developmental Screen: The NDDS is currently being offered completely free of charge in Ontario. Through a free information line, CDRCP can help connect you to the information and resources you need to make an informed decision about your child's care and learning. 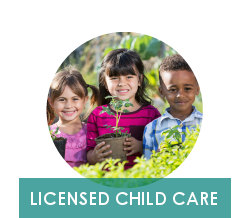 Whether you are looking for the child care options that best suits your family's needs, or the nearest EarlyON Child and Family Centre or early learning program, CDRCP can help. CDRCP engages, connects and empowers the community through information, resources, learning opportunities and services that promote quality family life. © 2019 CDRCP. Designed by Infostructure.